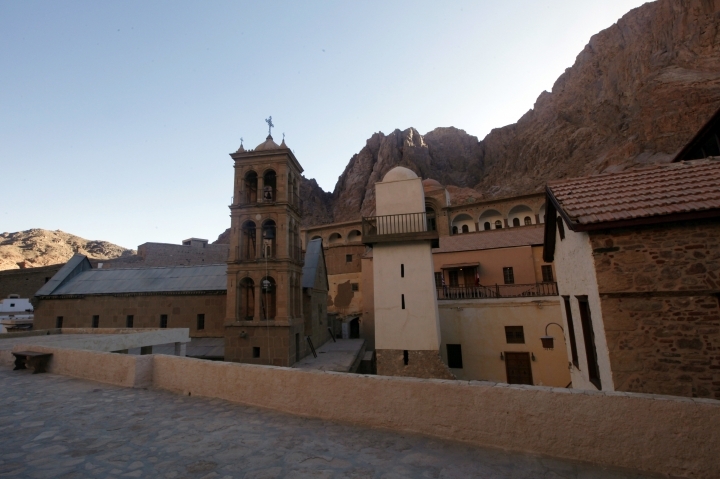 ST. CATHERINE'S, Egypt — Egypt reopened on Saturday an ancient library which holds thousands of centuries-old religious and historical manuscripts at the famed St. Catherine Monastery, a UNESCO World Heritage site, in South Sinai. 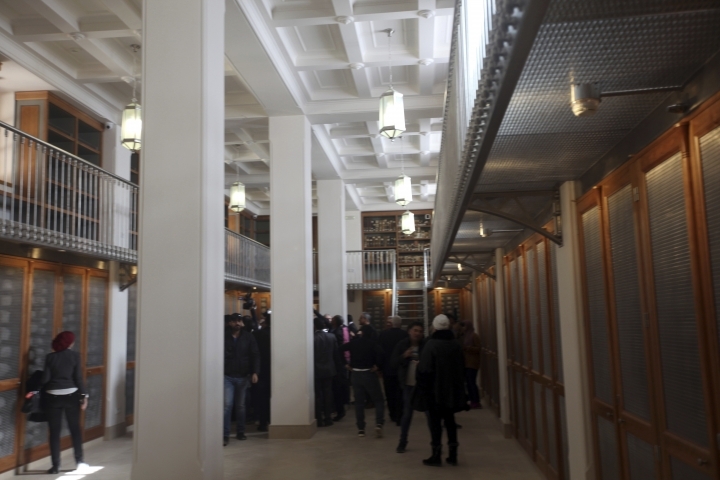 The inauguration ceremony, attended by Egyptian and western officials, comes after three years of restoration work on the eastern side of the library that houses the world's second largest collection of early codices and manuscripts, outnumbered only by the Vatican Library, according to Monk Damyanos, the monastery's archbishop. "The library is now open to the public and scholars," said Tony Kazamias, an adviser to the archbishop, adding that restoration work is still underway without specifying a completion date. At least 160 of the manuscripts include faint scratches and ink tints beneath more recent writing, according to Kazamias, who believes the palimpsests were likely scraped out by the monastery's monks and reused sometime between the 8th- 12th centuries. During the library's renovation, archaeologists apparently found some of Hippocrates' centuries-old medical recipes. The ancient Greek physician is widely regarded as the "father of western medicine." 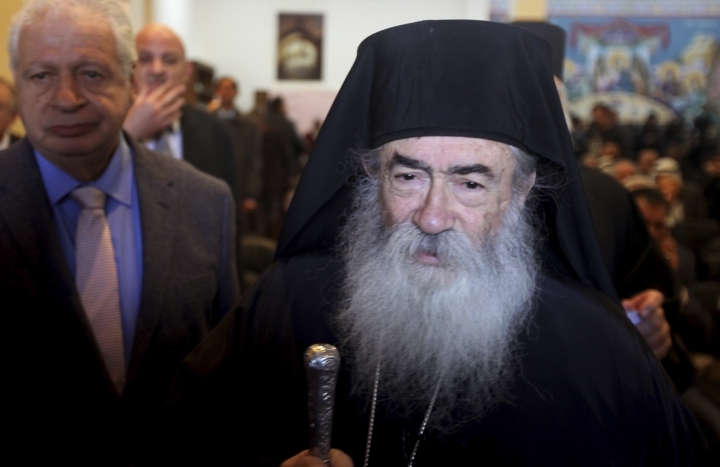 "The most valuable manuscript in the library is the Codex Sinaiticus, (which) dates back to the fourth century," said the Rev. Justin, an American monk working as the monastery's librarian. "This is the most precious manuscript in the world," referring to the ancient, handwritten copy of the New Testament. "There are beautiful paintings in the manuscripts. When you turn the (pages) there is a flash of gold and colors. It is a living work of art," said Justin. 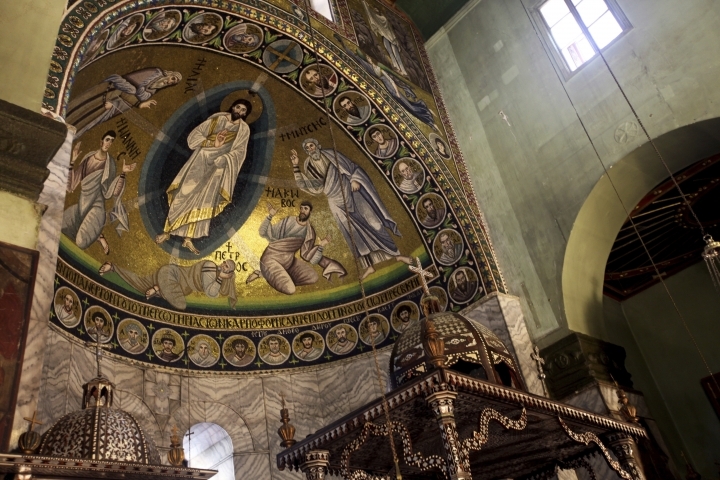 The officials also inaugurated the Mosaic of the Transfiguration situated in the eastern apse of the monastery's great basilica. It mosaic covers 46 square meters and features a rich chromatic range of glass paste, glass, stone, gold and silver tesserae. Jesus Christ is depicted in its center between the prophets Elias and Moses. The 6th century mosaic was created at the behest of the Byzantine Emperor Justinian, who also requested building the monastery. 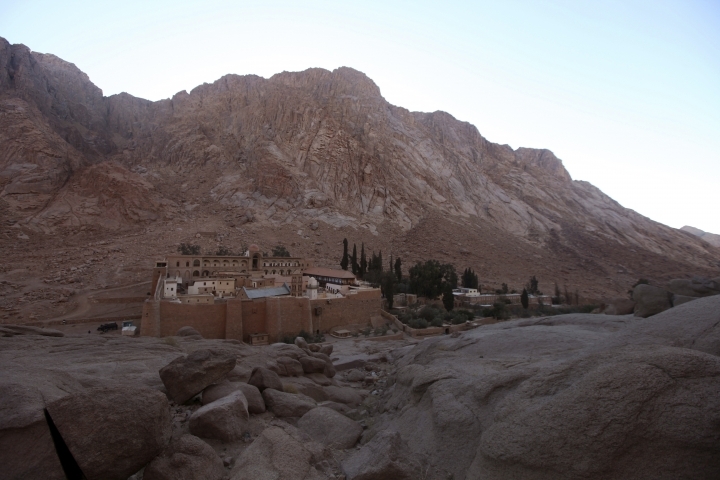 St. Catherine's, where the monastery is located, is an area revered by followers of the Abrahamic faiths, Judaism, Christianity and Islam. Like the Old City of Jerusalem, it has become a popular destination and an attraction not only for pilgrims but also tourists from the world over. The 6th century monastery, one of the oldest Christian Orthodox ones, is home to a small number of monks who observe prayers and daily rituals unchanged for centuries. Its well-preserved walls and buildings are of great significance to the studies Byzantine architecture. It's situated at the foot of Mount Sinai, also known as Jebel Musa or Mount Horeb, where Moses is said to have received the Ten Commandments.